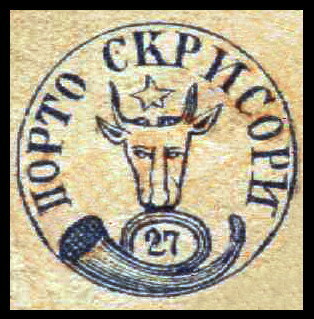 Gibbons spells it "Rumania" and again starts with Moldavia SG1-22 (1858) but lists Scott's 'Moldavia-Wallachia' as mainstream Rumania. 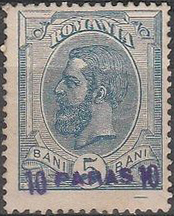 Romania - Imperforate, no watermark, lithography. 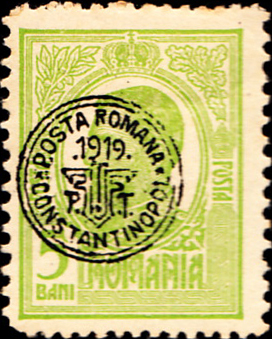 Rumania made a general issue plus one used for a ship post service between Constantza and Constantinople. 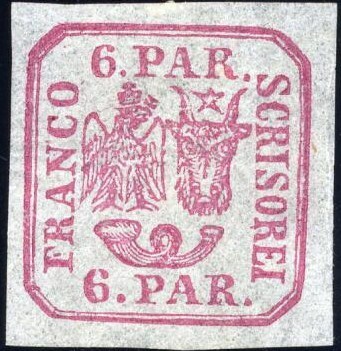 Gibbons lists the 1919 Constantinople overprint as an SG1. For the general issue, Sc4 SG4 is shown: Sc1 is the same surcharge in black.